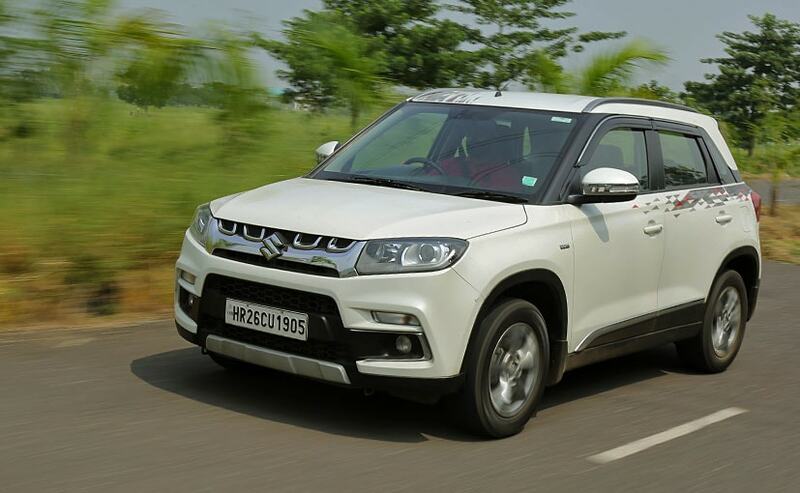 The upcoming Maruti Suzuki Vitara Brezza AMT will be offered in three variant - VDI, ZDI and ZDI+. Engine and power output will remain unchanged. We had told you that Maruti Suzuki India is planning to introduce an automated manual transmission a.k.a. 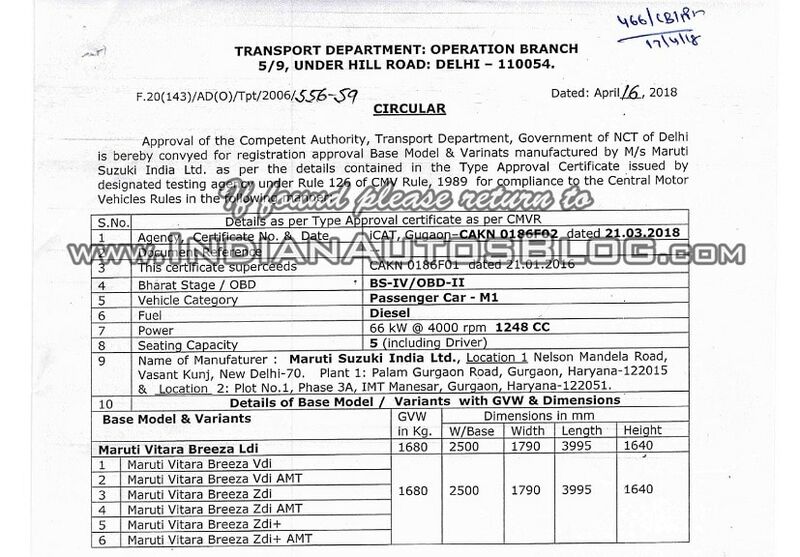 AMT version of the Vitara Brezza SUV, and now a recently leaked document, which has surfaced online, confirms its arrival. According to the leaked document, the upcoming Vitara Brezza AMT will be offered in three variant - VDI AMT, ZDI AMT and the top-spec ZDI+ AMT. Of course, the AMT unit that will come with the Vitara Brezza will be the carmaker's tried and tested Auto Gear Shift (AGS) system. As we had expected, there will be no change in engine or power output and the AMT model will get the same 1.3-litre DDIS, four-cylinder diesel engine that develops 89 bhp and 200 Nm of peak torque. Like the manual version, the AMT version will also be a 5-speed AGS unit, although it's possible we might see a slight difference in mileage, which is currently 24.30 kmpl. Visually or in terms of dimensions, the upcoming Maruti Suzuki Vitara Brezza will remain identical to the manual version with no change whatsoever. Of course, the car will get the "AGS - Auto Gear Shift" badging on the tailgate, as seen on the rest of Maruti Suzuki's AMT models like the Dzire, Celerio and WagonR among others. In terms of dimensions, the Vitara Brezza will continue to measure 3995 mm in length, 1790 mm in width, 1640 mm in height, and a 2500 mm wheelbase. 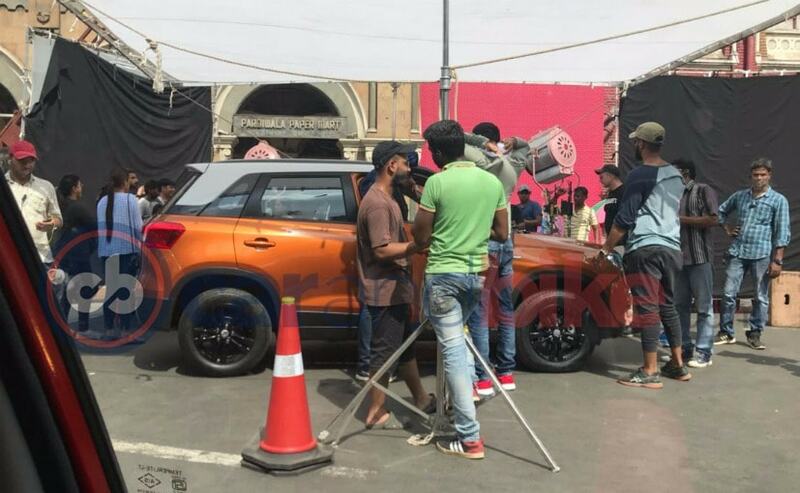 Interestingly, we recently shared an exclusive set of images of a new dual tone, orange and while, Vitara Brezza, which were snapped during TV commercial shoot. While we do not have an image of the cabin, we believe this updated SUV, could very well be the Maruti Suzuki Vitara Brezza AMT Diesel. But, we'll come to know for sure, once Maruti officially launches the SUV in India.